On October 3, 1951 the most famous home run ever was hit which is now known as The Shot Heard ‘Round the World. It is known as such because the game was broadcasted on the radio to US troops during the Korean War. 38 years later to this day I was born on October 3, 1989 in the Utah Valley hospital in Provo, UT. It was the day after my dad had watched Monday Night Football and baseball. Chicago defeated Philadelphia 27-13 in football. The Oakland Athletics defeated the Toronto Blue Jays 7-3 that day and would later face the same Giants team that now resided by San Francisco Bay instead of the Upper New York Bay. This series was known as the Battle of the Bay since the Oakland Athletics were on the other side of this body of water in Northern California. The Brooklyn Dodgers had moved to the Southern California city of Los Angeles. 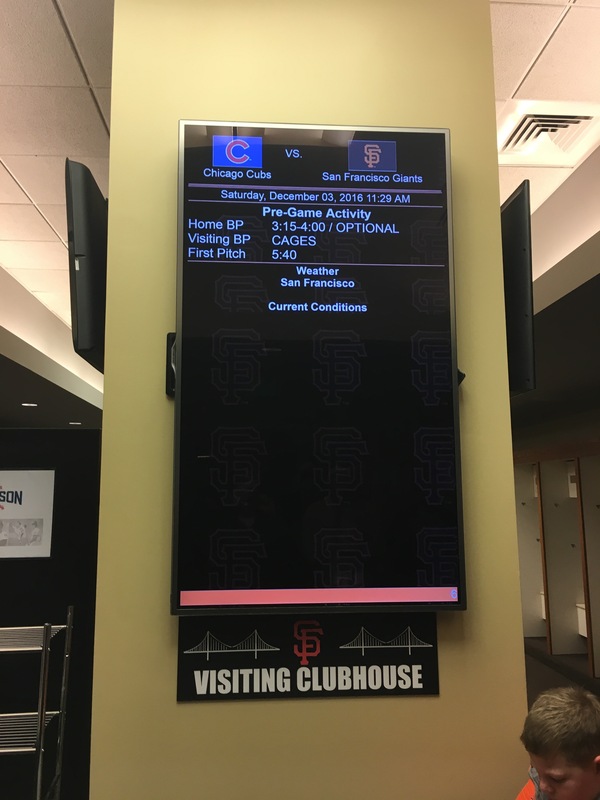 The result of the series was a sweep of the San Francisco Giants as a powerful earthquake shifted the series since it resulted in a break that lasted over a week long. The visitors locker room is well organized and has a neighboring room of chefs who cater to their needs. The 2016 World Series champion Cubs reportedly have the league’s pickiest eater who is none other than pitcher Jake Arrieta. The best chef tippers in baseball for the Giants are ironically their NL West rival Los Angeles Dodgers. 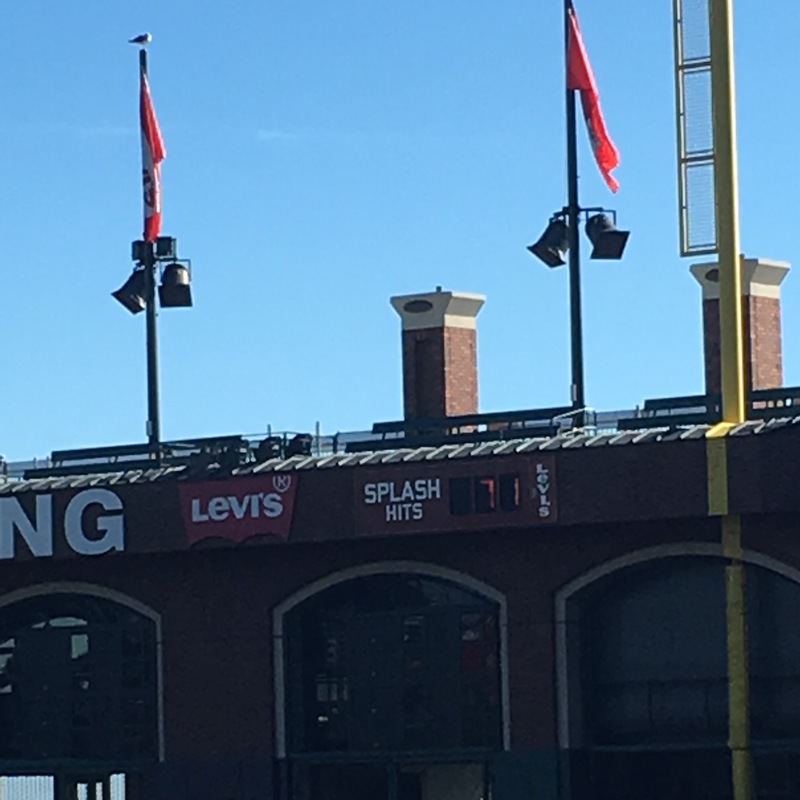 71 splash hits have been homered into San Francisco Bay which is right behind the ballpark. Most of these were hit by original Splash Brother Barry Bonds who hit 35 of them. Current Warriors basketball players Stephen Curry and Klay Thompson have nothing on this Splashing Sensation! The architecture of AT&T Park usually favors pitchers unless the batter is left handed. I am left handed so I desire to attempt some splash hits but we unfortunately aren’t allowed on the grass. My first experience in a Major League Baseball stadium is one I will never forget. The Giants share a history with me that goes beyond sports. Their history resonates with my birthday which connects me to the Mr. October sluggers of the past and present. Recently I have seen the Giants win World Series titles in 2010, 2012 and 2014. Those wins were great but none compare to The Shot heard ’round the World nearly four decades before my birth, and the Battle of the Bay when I was a baby. Next time I go to AT&T Park I hope to watch a game but to be safe I will wear Giants apparel instead of their rival LA Dodgers shirt!